The Friends of Biology Fund allowed her to focus on her studies and pursue her research. After her graduation in the spring of 2019, Sarina wants to go to medical school and become a pediatrician where she will study the links between fetal environments and adult health. 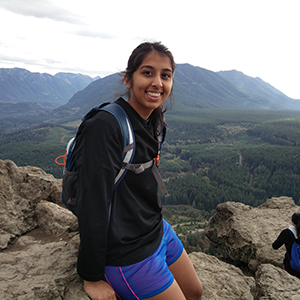 By making a gift to the Friends of Biology fund, you empower students like Sarina as they push at the limits of understanding and lay the foundation for the next wave of scientific breakthroughs.